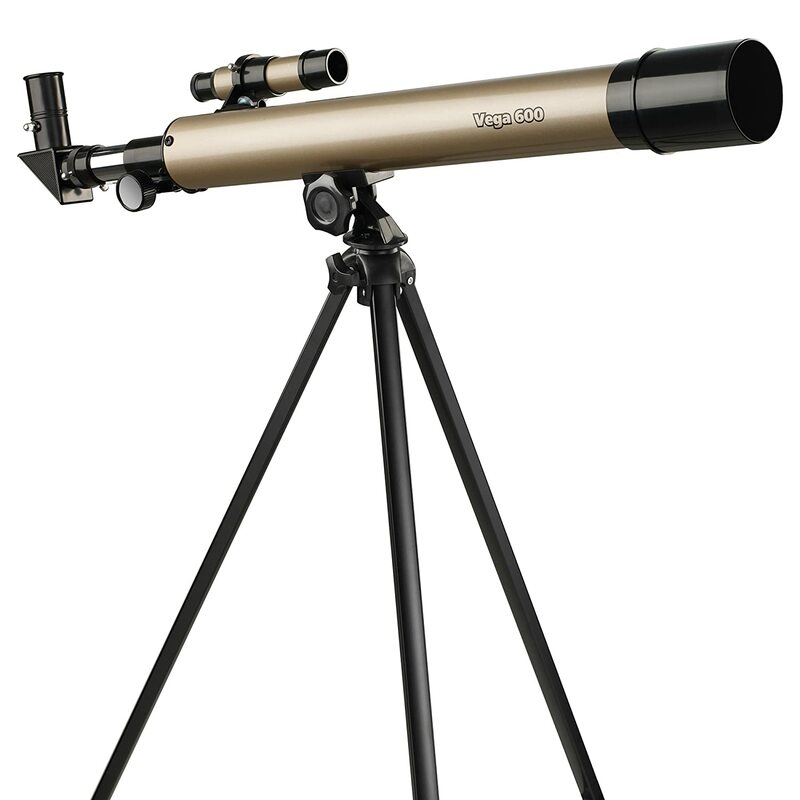 Includes telescope with all-glass optics and 30x, 60x, 75x, and 150x magnifications. Also includes 50mm objective lens, 2 eyepieces, 2x image erector, 5 x 24mm finder scope, and 2-element achromatic objective lens. Includes 50″ full-height, adjustable tripod. Lightweight and simple to use; perfect for on-the-go observation. Great for kid explorers of any age. Encourage a love of science!